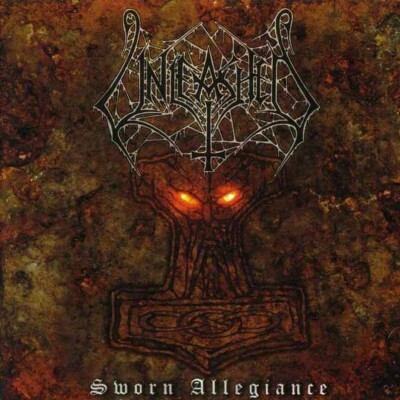 Sworn Allegiance is the 7th studio album from Unleashed in their 15 years as a band. I never got into these guys in the past because I always considered their output as sub-par. Surprisingly enough to me, I actually enjoyed Sworn Allegiance. This album isn’t great by any means, nor does it offer up anything new, but it does have its moments. 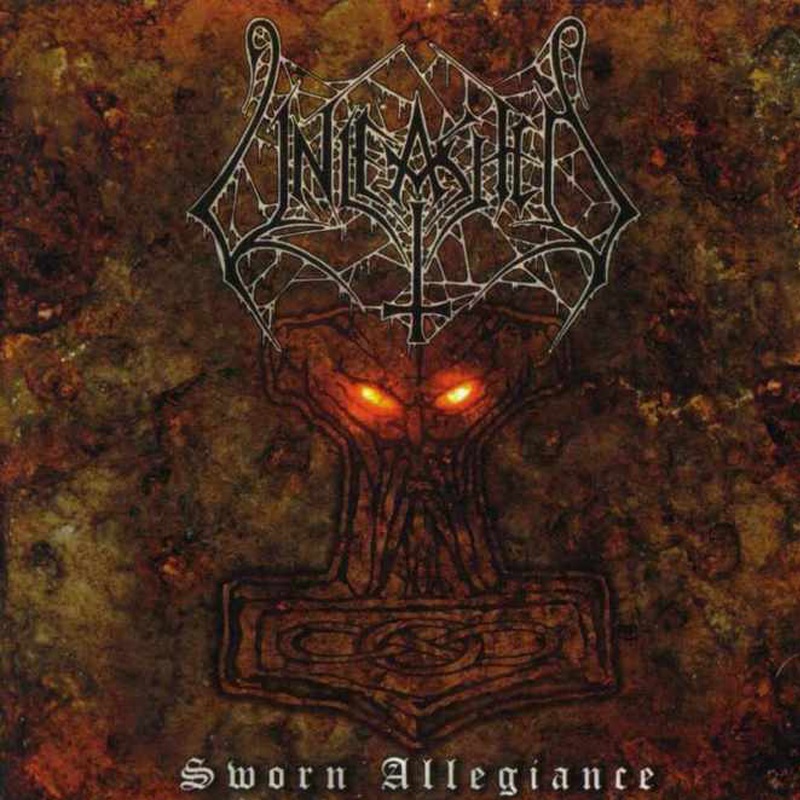 An Unleashed album is definitely good for a few great vocal hooks and guitar riffs that are undeniably metal. Sworn Allegiance even features a few good solos, including an impressive extended guitar solo during “To Miklagard.” If this band falters in any one area, it would have to be lyrically. Their lyrics can’t be described as anything but simplistic, and the constant over-use of repetition only serves as a reminder. During “The Longships Are Coming,” bassist/vocalist Johnny Hedlund repeats the title 18 times, during “Helljoy,” Johnny repeats the title 13 times. Enough already! I don’t know what to do with the information, but I’ll be damned if I’m not on watch for the “Longships!” Overall, this is a fun album; just don’t take it too seriously. And yes, for some reason I feel oddly compelled to warn you that the longships are coming! You have been warned!